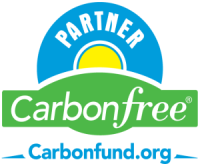 As one of Carbonfund.org’s 2,000 business partners, ETS (http://carbonfund.org/partners/alphaindex/carbonfree-business-directory/e/2) is committed to providing transportation solutions that are environmentally friendly. We share a common goal of fighting climate change and being part of the solution toward a clean energy, low carbon future. ETS is helping reduce the threat of climate change for our and future generations.